When I was a child, out and about in public, I remember the excitement of possibly getting away with petting any dogs that I came across. Yet for some reason, there were certain canines I learned at once were off-limits—specifically the ones dressed in tight, brightly-colored vests and equipped with a bar handle of sorts. If I was not chastised by an adult first for approaching these dogs, then I would recall feeling confused, even disappointed, that these dogs were so calm and docile compared to the more fun members of their species. Over time, one learns to respect and get used to the sudden presence of a guide dog in any setting—church, restaurants, even the bus. It becomes somewhat taken for granted by those with functioning eyesight that these canine companions keep their blind owners from walking into traffic or falling down a stairwell. After watching Don Hardy, Jr. and Dana Nachman’s modest and lighthearted documentary Pick of the Litter, my admiration for these furry creatures has now increased a hundredfold. Five adorable Labrador puppies enter the world at the Guide Dogs for the Blind (GDB) center in San Rafael, CA. As the “P” litter, the three males are named “Potomac”, “Patriot”, and “Phil”, while the two females are named “Primrose” and “Poppet”. Bred to one day bring independence, companionship, and joy to blind people waiting in line throughout the country, the next twenty months will become quite eventful for these five rascals. After their first two months at GDB, volunteer “raisers” continue nurturing the puppies. Veteran or first-timers, the “raisers” will struggle to reconcile with the fact that these are not their pets and that they must return them to GDB in ten months, when the real training begins. As cute as the five rapidly-growing dogs remain, the tough GDB employees cannot and will not overlook the slightest hints in the dogs of restlessness or distraction from shiny objects or other animals. GDB will not hesitate to “career change” (GDB jargon for “cut”) any canine candidates from the program. After all, only the best will make the cut. Pick of the Litter begins with a brief montage of how past guide dogs have saved the lives of their owners, including Salty and Roselle from the September 11, 2001 terrorist attacks. (Much kudos to editors Hardy, Jr.; Nachman, and Jacob Stein for blurring the clip of the second plane crash, both for consideration of the content as well as how sadly recognizable that footage is for many.) However, Pick of the Litter does not center on their exploits. Rather, the 81-minute documentary is part-education course and part-condensed reality competition series. 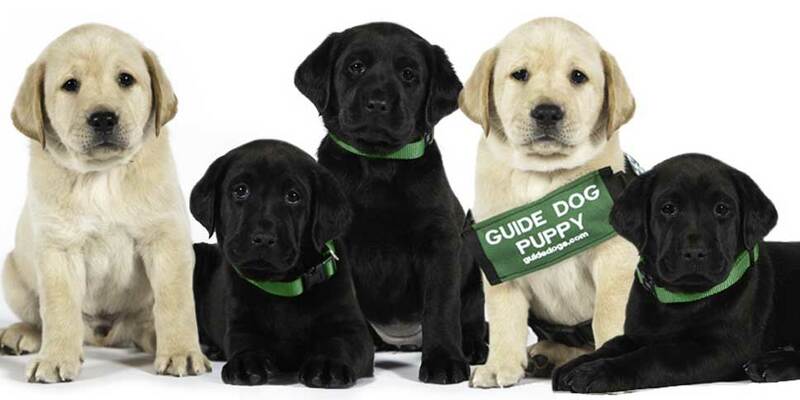 Feel-good and instructional to a fault, Pick of the Litter will benefit those who have little to no knowledge of the rigorous training undertaken by guide dog candidates. Perhaps the biggest insight derives from how seriously GDB takes their job. As one employee remarks early on, anywhere between all and none of the members of “P” litter could graduate. A candidate’s one unshakable impulse can mean the difference between the life and death of their handicapped owners. GDB “career changes” some graduates who struggle to meet expectations in the first few weeks or months with their owner. It amused the audience behind me whenever the canines made the occasional stumble in their five crucial final tests or when the graphic of “P” litter dogs still in the running came up to indicate which dog has just been “career changed”. The viewers’ enjoyment and the frustration of the “raisers” and expert trainers at these developments made for fascinating contrasts, perhaps akin to how the vast majority of human males are called to the married life while only a select few are called to the ordained life. For GDB employees and those affiliated with them, guide dog might as well constitute the highest calling for all canines. 2017 showcased both the role of dogs in the military (Megan Leavey) and across human lives in general (A Dog’s Purpose, still underrated). 2018 has gone further: Director Albert Hughes took on the origins of human and canine companionship in Alpha (a surprising gem). With Show Dogs, director Raja Gosnell and co. thankfully failed to bring back the early 2000s and unintentionally drew great controversy as they threw a talking police dog into the demanding and posh world of dog shows. Modern cinema auteur Wes Anderson made canines the stars and scapegoats in Isle of Dogs, his masterful fusion of political conspiracy, coming-of-age adventure, and all things Japan. Finally, the documentary Pick of the Litter has reminded us all that while most of the dogs that pass by on the street think everything of their humans, there are those select furry quadrupeds—clad in vests and equipped with bar handles—to whom their humans entrust their very lives.